Alas, this was not to be. A Russian-led cabal of asbestos vested interests came to Geneva spoiling for a fight. 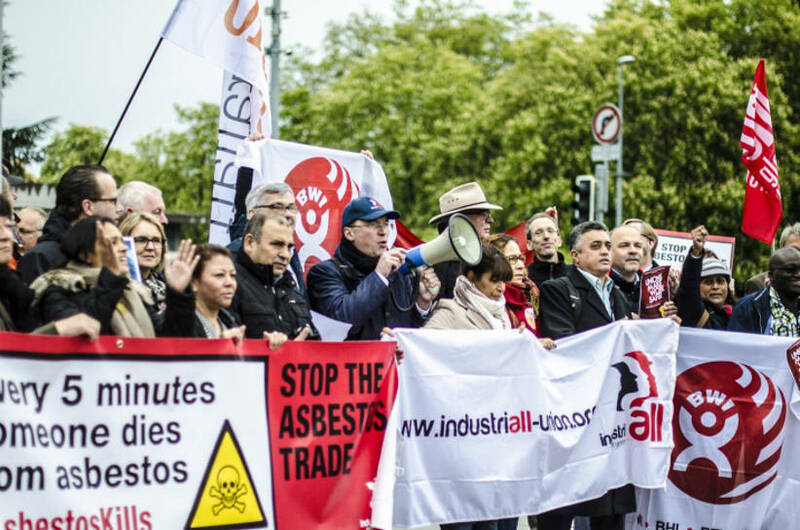 Their experience at COP7 (2015) had alerted them to the upscale of activity by asbestos victims, trade unionists and other partners to confront UN delegates with the harsh reality posed by the use of asbestos throughout the developing world. Plenary session testimony by Indonesian asbestosis victim Siti Kristina. Attempts made by Russia, Kazakhstan, Zimbabwe, India, Kyrgyzstan, Belarus and Syria to overcome the oppositions unified message  as voiced by representatives of the Asian Ban Asbestos Network, the Global Asbestos Action Alliance, the IndustriALL Global Union, the Building and Wood Workers' International, Suisse Solidaire, Ban Asbestos Indonesia, the Occupational and Environmental Network of India, the International Ban Asbestos Secretariat, the Rotterdam Convention Alliance and others at COP8  relied on worn out rhetoric and discredited fiction masquerading as fact. During the first week, Cameroon had warned convention delegates about stakeholders hijacking the process through their unwillingness to list chemicals, amend the Convention, or establish a contact group.5 Members of the asbestos bloc were, indeed, behaving as Convention pirates, pursuing their own agendas no matter the cost to millions of people whose lives would be irretrievably damaged by exposure to dangerous and unregulated chemicals.6 Perhaps the Rotterdam Convention authorities might do well to study the rules of British football. After a foul is committed, the guilty player is cautioned by the referee and given a yellow card; a repeat infraction results in the player being sent off the pitch for the rest of the game. 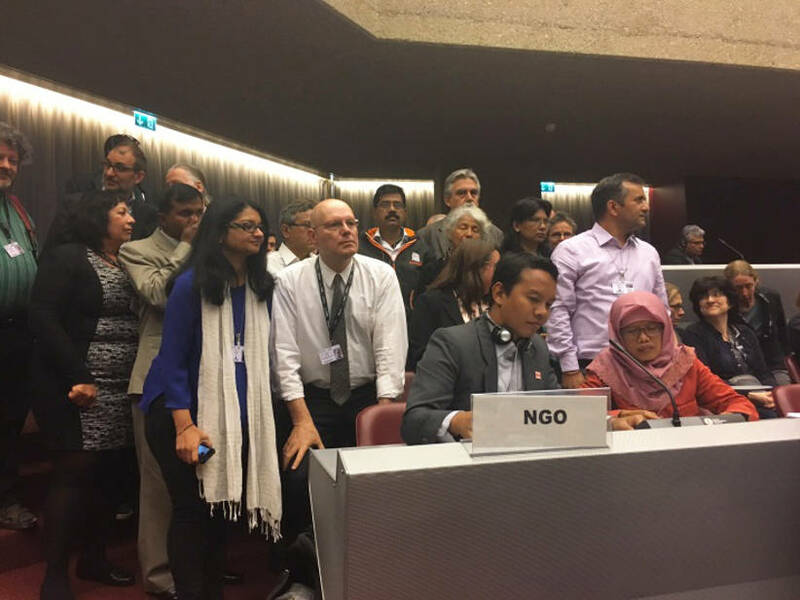 The behaviour exhibited by Russia and its accomplices at COP7 and COP8 is more than enough justification for suspending their membership of the Rotterdam Convention for the next COP. In their absence, much could be achieved. 2 Kazan-Allen L. Rotterdam Convention: Make or Break. March 20, 2017. 3 Summary of the Meetings of the Conferences of the Parties to the Basel, Rotterdam and Stockholm Conventions. Earth Negotiations Bulletin. May 8, 2017. 5 Summary of the Meetings of the Conferences of the Parties to the Basel, Rotterdam and Stockholm Conventions. Earth Negotiations Bulletin. May 8, 2017. 6 At COP8, the listing of four chemicals  chrysotile, carbosulfan, fenthion and a paraquat formulation  was blocked by a handful of countries.